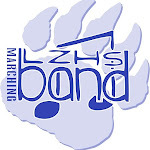 Lake Zurich HS Band: Crazy start to the year!!! The fall has flown by due to the wonderful home football schedule we had this year. Thanks to all the hard work and dedication of the students, our shows have still be effective and hopefully enjoyable. We finish our Marching season a week from tomorrow with a final tribute to the movies and the 15th annual version of the "Band dance." Can't wait! Today also marked the start of the Poinsettia and Turkey fundraisers. Who doesn't need both! Next up is the always popular Band-O-Rama Concert on October 9th. This is a great concert to bring friends and family to. It's your chance to hear the marching band up close and personal, plus see the guard in action. With the end of marching season comes auditions for chair placement in concert bands. Everyone should be practicing and getting ready to show their best! What a great privilege it is to be your band director and share great music with you!